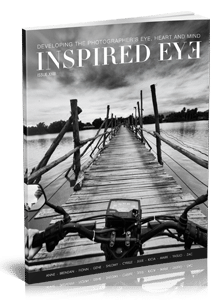 Beautifully laid out in 265 pages, is the 23rd issue of Inspired Eye, containing an eclectic mix of photography from all over the world. Zac Patsalides takes us on a great roadtrip throughout Vietnam on his bike and Fionn draws us in with a timeless look at Kalkutta, India. Yasuo Furue opens up his native Japan just like Cyrille Druart shoots his native France. Mark Rosales offer us an off beat look at his hometown of LA and Kicia Randagia uses both her family and various animals as her canvas for her photography. Gene Lowinger gives us unprecedented access to the lives of the Jewish community of the lower east side, plus way more in 120 spreads.